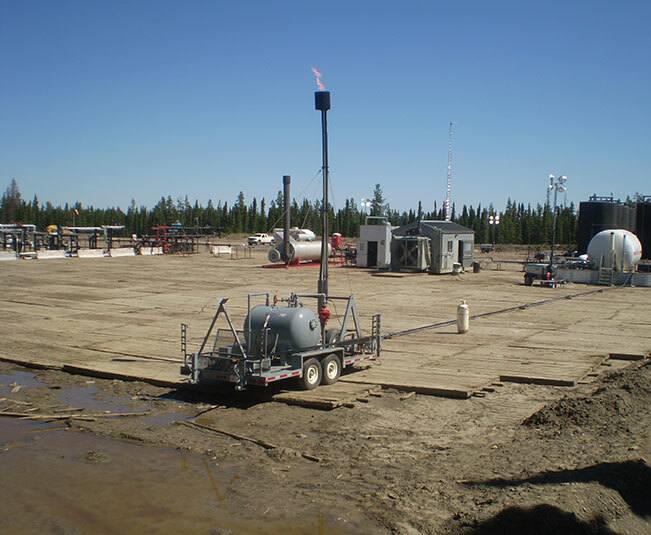 Rental 4" x 40' Sour Portable Flare Stacks - Roska DBO Inc. Designed from end-to-end for true temporary service. Mobile and trailer-mounted. 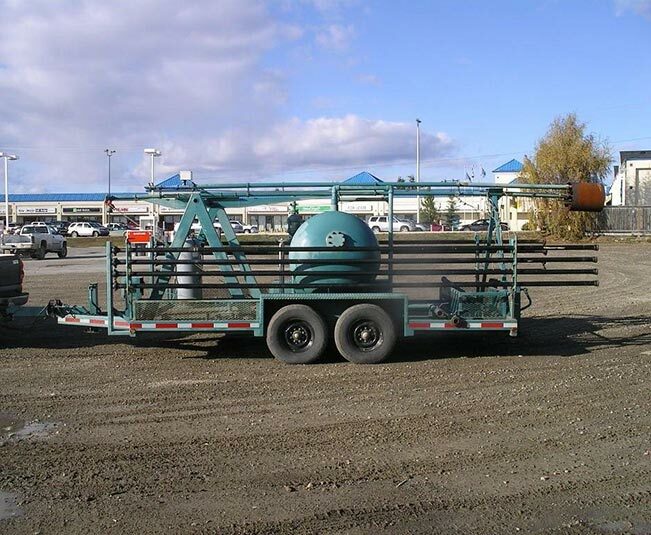 Quick and easy to set up, designed to withstand wind loads without setting pilings. Includes integral flare-knock-out, pilot and ignitor. Comes with hoses and hammer-union piping. Also designed to work with Roska’s mobile blowdown vessels. Roska can execute the field construction of any of our process fleet items.